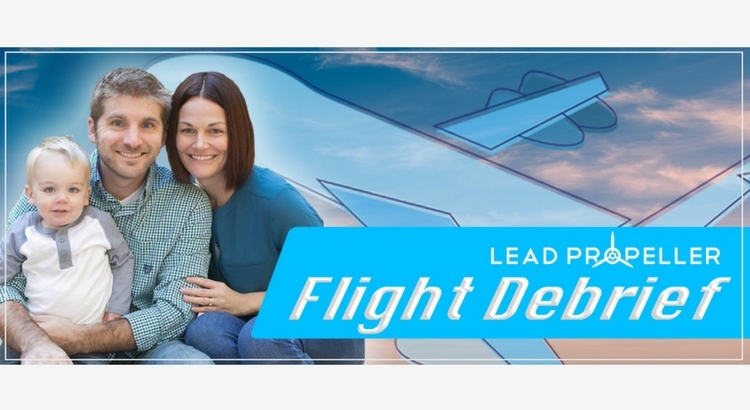 Welcome to the latest LeadPropeller Flight Debrief! In this month’s debrief, we’ll be highlighting the success of Arbor View Properties, and it’s founder Brad Woodall. Brad had been interested in starting a real estate investing business for a while. When he decided that today was the day, he attended an Atlanta REIA meeting and started his journey in real estate investing! From there, he was hooked and started going all in when it came to his real estate investing business. In addition to continuing attending local REIA meetings, Brad also regularly goes to local Mastermind Courses, BiggerPockets meet ups, and monthly meetings hosted by Jered Sturm – who writes for, and has been featured in a BiggerPockets Podcast. Brad admits that he’s a podcast junkie. He started listening to real estate investing Podcasts, like the Flipping Junkie Podcast, Smart Passive Income, and House Flipping HQ just to name a few, for a consistent source of business advice. It was there that he first began direct mail marketing to attract motivated sellers, and eventually evolved his online marketing strategy to include online leads. I’m much more satisfied with Adwords and FaceBook ads. I’m planning on getting rid of direct mail all together within the month. It’s no surprise why. Direct mail has been costing Brad thousands of dollars, and all it returned was 1 lead this month. As compared to his PPC online marketing that’s landed him countless deals with half the effort! Brad’s PPC cost per lead in March was $124, which is nothing when these leads are viable and motivated. Josh has been doing a great job at driving down my cost per lead over the past few months since we started the campaign in December. That’s the detail to focus on: “since December”! All in just 5 short months, Brad was able to get high quality leads for very little money, convert them to deals, and sell those properties all through his PPC management service. Nothing says worth it more than quick deals! Let’s talk about some of those deals now! One of the recent deals that Brad closed was an inherited property that came to him from his AdWords marketing. As of March, Brad reports that his cost per closed deal is sitting around $3300. However, including his pending deals coming up in June, his costs is down to $1100 for AdWords and PPC. Like all real estate investing leads, there are always things that might come up, and this inherited property was no different. My concern going in was that the seller wouldn’t have the right paperwork, he told me, but my attorney was able to handle all of that. Luckily, the evening before the closing date, the payoff for the loan went through. Other than those two concerns, the entire deal went smoothly. Brad bought a property with the intend to fix it up and put it back on the market, but decided to entertain the idea of wholesaling it. Brad had been posting ads on Craigslist regularly for this property and others. The buyer saw the posts and went to his website where she submitted her information to get on his buyers list. When Brad started posting about this property, the buyer saw it and was instantly interested in buying it for Brad’s listed wholesale value, and that was that. After the success of that deal, Brad’s been looking into wholesaling more properties instead of just flipping them. She must have found my ad on Craigslist, but I got her information submitted through my website, he recounts. One thing is for sure, we haven’t seen such successful all around online marketing in a while! These were just two deals that Brad closed, but what does he have lined up for the coming months? Brad had a motivated seller find him through Google searches who was relocating. This motivated seller needed to sell his house quickly, and expressly told Brad that he didn’t have the time to wait for the house to pick up momentum on the open market. Arbor View Properties to the rescue! With his client needing to close quickly, Brad was able to offer him cash on the spot. Of course his motivated seller took the offer. Now the property is looking to close within a few weeks on his client’s move date this June. That’s a solid $42k gross profit all from a motivated seller and a Google search! It just goes to show how profitable it is to not have to chase down motivated sellers and to just the leads come to you. There is a married couple, both teachers, who are looking to relocate within Brad’s target city. They want quick cash for their house, but were more interested in finding an offer that would be equal to what they owed on the property. After reaching out to them, Brad was able to offer a little more than they were looking for, and in cash too. Needless to say, they were interested in the deal. Because this is looking like an easy house to clean up with minimal repairs needed, Brad is leaning more toward keeping this one as a rental property. I’m thinking about listing this property as a rental for $1300 a month. It’ll be a nice little source of extra cash. Any Advice for Other Investors? Brad was eager to say that the biggest part of running a successful business is continuing to learn every day. The key is staying consistent. Have faith and keep at it. You’ll be scared sometimes, but that’s ok. Don’t be afraid to lose money. And always remember to trust instincts and stick to your guns! Such practical advice from a successful real estate investor. Just from my conversation with Brad, I found that the key to his success is how humble and helpful he is when it comes to working with his clients. No matter what, he takes their needs first. That’s such a great way to make sure that everyone benefits from the deal. Making sure his clients are comfortable and happy not only does wonders for his business, but helps Brad build his reputation in Atlanta as the real estate investor who will work with you. In fact, Brad has started a new donation campaign with the profit he makes. When every deal we do is sold, we will donate 10% of the profits on to charity. We started this campaign this month by marking a donation to the Mike Roweworks Foundation. On deals we buy from motivated sellers, we allow them to choose what charity the donation goes to. Honestly, I think that’s amazing. Not only does Brad focus on the best possible customer service for his motivated sellers, but he prioritizes giving back to the community. All we see is a successful future for Brad Woodall and Arbor View Properties. What an insightful and inspiring story! This was definitely a fun Flight Debrief to write about. If you want to read our others, check them out at our blog! But for now, Brad Woodall – over and out.